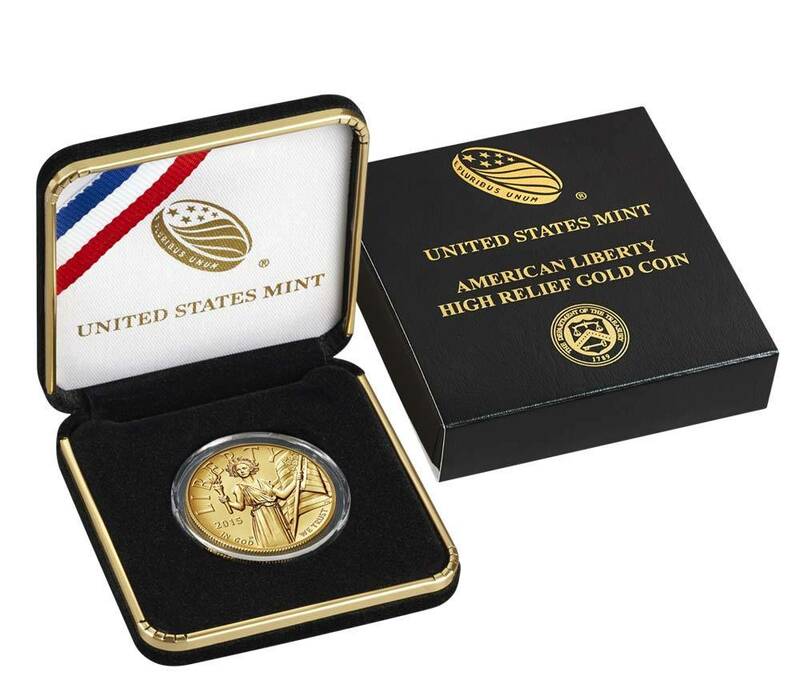 This amazing 2015 1 oz American Liberty High Relief Gold Coin is newly released and comes encapsulated and presented in a black velvet presentation case with a certificate of authenticity. This coin renders contemporary designs using the latest digital technologies. It is also among the world's purest coins, with a fineness of .9999. 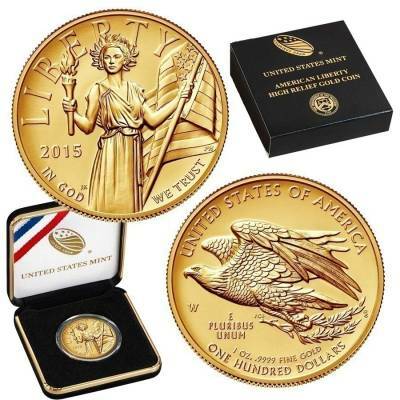 Minted at West Point by the US Mint, the American Liberty coin evokes the ideals, of courage, hope, and liberty. 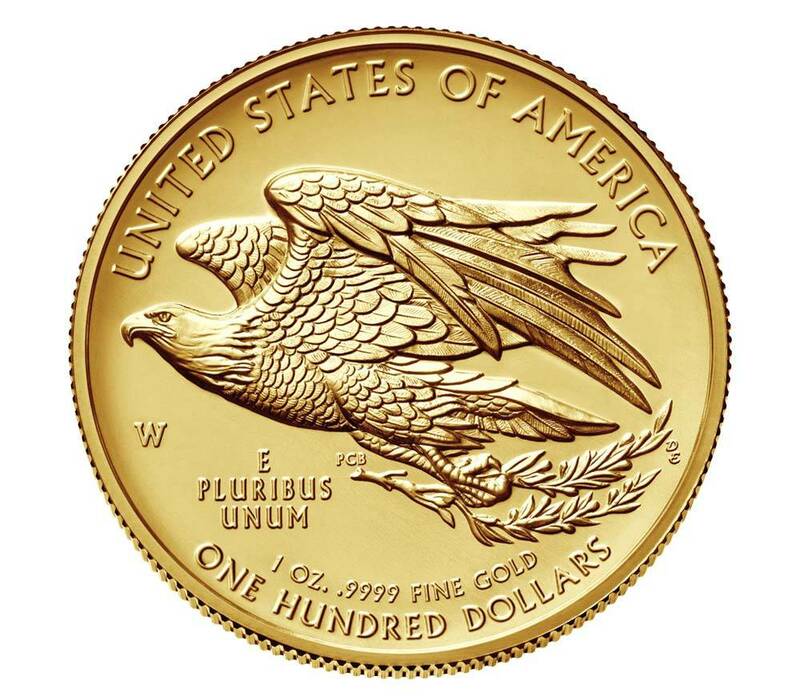 In 2009, the US Mint fulfilled Augustus Saint-Gaudens' original vision of an ultra high relief coin when they released the 2009 Ultra High Relief Double Eagle coin, ushering in a new era of American coin design. 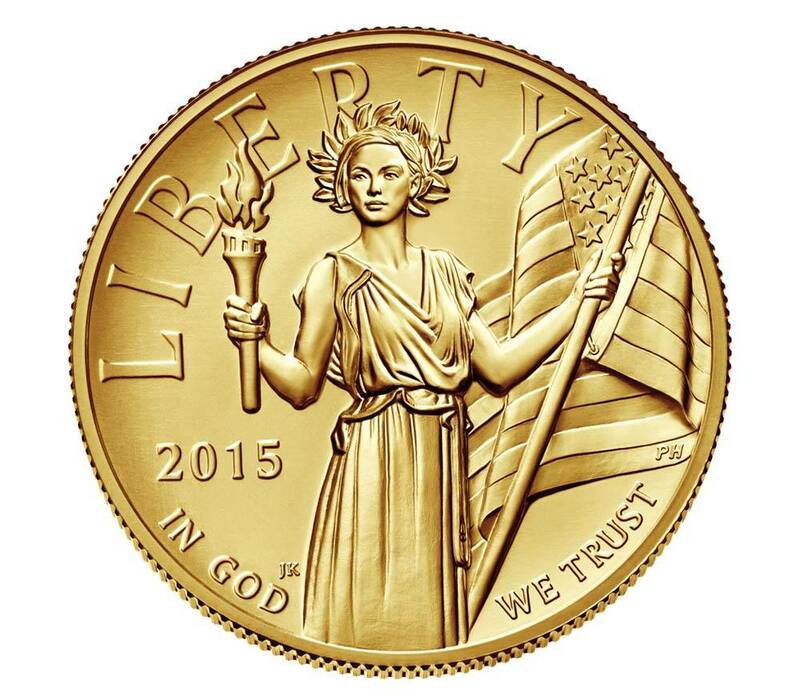 This 2015 coin continues this new trend. 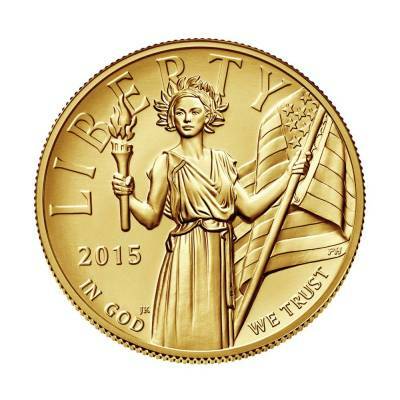 On the obverse, Justin Kunz created a modern version of Liberty, holding an American flag and torch, with the inscriptions "LIBERTY", "2015", and "IN GOD WE TRUST". 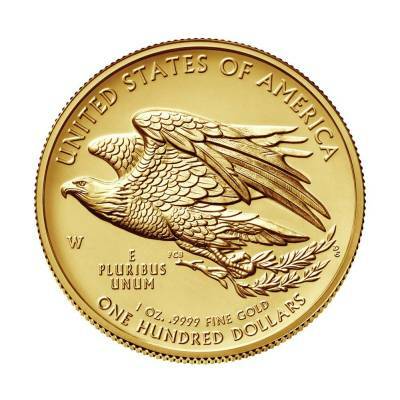 On the reverse, artist Paul Balan created the image of an eagle rising in flight, gripping a branch in its talons as a symbol of freedom. 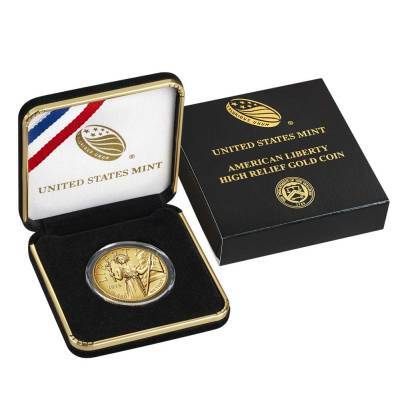 The inscriptions "UNITED STATES OF AMERICA", "E PLURIBUS UNUM", "ONE HUNDRED DOLLARS", "1 OZ .9999 FINE GOLD", and the mint mark "W" are also found on the reverse. The 2015 American Liberty coin captures both our nation's proud numismatic heritage and our glimmering future, making this coin a must-have piece of American history. 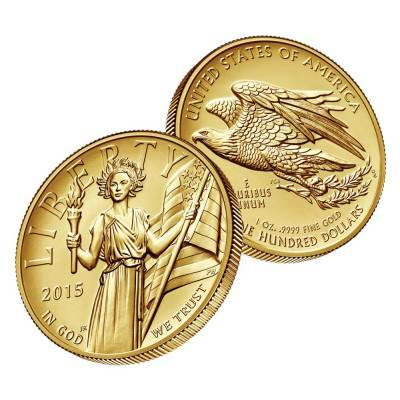 Like all of our other gold coins, this one is guaranteed to be 100% authentic. Item will be wrapped and packaged safe for delivery. 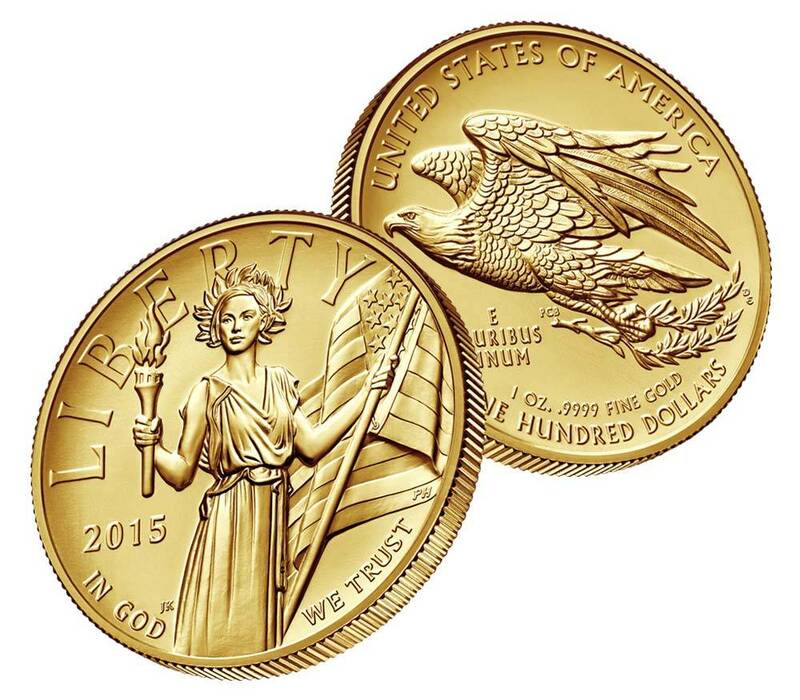 Be sure to check out our other Gold Eagles and more on our website! With this purchase, you earn 1575 Bullionaire Bucks 1575 BB = $1.58. For every $1 spend, you will earn 1 Bullionaire Buck which is equivalent to $0.001 off a future purchase. 1575 BB = $1.58.